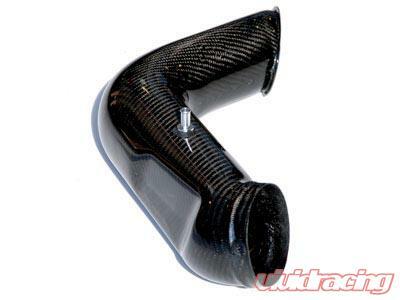 This a replica of the Porsche Germany RS lightweight factory heat duct that was used on all 3.6 liter special RS lightweight rare cars. 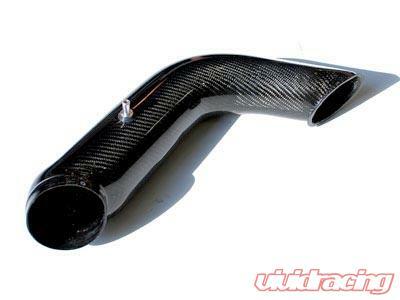 The Porsche part is ugly roto-formed cheap plastic with parting lines whereas Fabspeeds accurate replica is carbon fiber. Saves 8 to 9lbs about 4Kg from the rear of all 1994- 1998 993 cars. Fits all 993 cars. Will not work on 993 Twin Turbos. 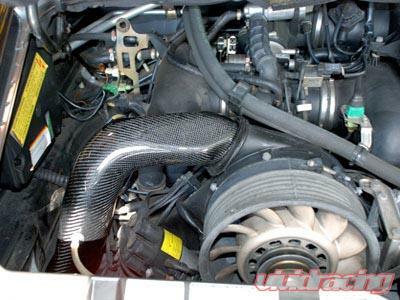 Replaces blower motor assembly and ductwork and still allows plenty of heat just like the factory RS part. Ultra cool clear coated real carbon fiber tube that really cleans up engine bay and makes working on engine easy. Simple do it yourself 20 minute installation that gives you the RS style engine look.